The Atlantic Old English Radius Edge Bathroom Turn & Release Matt Gun Metal has the unique radius edge design; this rounded style has an elegant and smooth looking appearance. 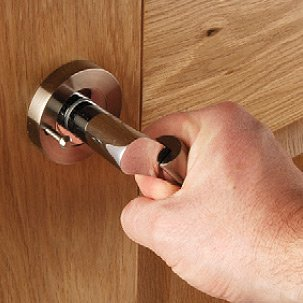 It is designed to be used with the Old English range of door handles on radius rose. It features a release on the external side that allows bathrooms to be accessed easily in case of emergency by using a coin to open the lock from the outside.